The official release date for iOS 8 is set for September or October this year. However, you don’t have to wait for months to be able to get use it on your devices. Apple unveiled the new version of their mobile operating system in the first week of June during the Worldwide Developers Conference (WWDC) and even though it will only be available this autumn, the preview created a lot of anticipation. For many users, the long wait is unbearable as they are eager to start enjoying all the features that iOS 8 has to offer. If a few months sound like an eternity and you wish to get their hands on iOS 8 right now, you will be happy to know that there is a way to do it and that is joining the iOS 8 beta programme. While this gives you the advantage of start using iOS 8 before everyone else, there are some reasons why you may be better off waiting for the official launch. Find out how to get iOS 8 prior to its release and also what you need to keep in mind about the iOS beta programme. The only option you have to be able to try iOS 8 before its official release is by joining the beta programme. Apple makes beta versions of iOS 8 available for developers to try them out before the official software is released to the public. Betas are essentially test versions that offer almost all the features that would be included in the finished product. The main differences between the beta version and the official one are that the layout/ appearance would still need to be polished and some issues may still need to be resolved. This means that with a beta version you are not guaranteed to enjoy the best experience, specially because certain apps that you would use without a problem with iOS 7, may not work well with a test version of iOS 8. The idea of using beta test programs is to allow developers to create apps that will work with the new operating system. When the beta test programme for iOS 7 was put in place, many people joined not to use the programme to design their own apps but just to test it. As a result, they provided a low rating for apps that did not work with it, without taking into consideration the implications of a beta version. This could have a negative impact in a developer’s ranking and doe snot reflect fairly on their work. Another issue is that some devices would not work well with certain functions of the test OS and as a result, they may become practically unusable until you can get the next beta version that would have fixed any glitches. This is why those who tend to try out beta version of iOS, always recommend to install it on a spare device (such as an old iPhone) and not on your primary one. Register as an Apple developer to join the iOS Developer Program for a cost of $99 per year. Simply visit Apple’s developer website and enrol using your Apple ID. Download iOS 8 beta. It is advisable to back up your device before installing the beta software to make sure that you can restore it, in case there is any complications. Log into the iOS Developers with your Apple ID. Register your device’s UDID. You can find this by plugging it into iTunes, clicking on the device icon on the top corner on the right, check the Summary tab and select the Serial Number entry to get it to change to the UDID. This will allow you to download the version of the iOS 8 beta that is compatible with your iPad, iPod touch or iPhone. Just make sure to select the right model of your device from the list. . The downloadable file to your Mac/PC needs to be unzipped (you would get a .IPSW file). Your device needs to be connected to iTunes. Press Alt on Mac (Shift if you are using a PC) and click on Restore iPhone on the device’s Summary tab. Select the .IPSW file to start the installation of iOS 8 on your iPad or iPhone. This will only take a few minutes. If the possibility of being the only one of your friends that has the iOS 8 before it is publicly available still excites you and means more to you than any issues that you may encounter, the iOS 8 beta is an option that will also allow you to check the new features before getting to completed version. 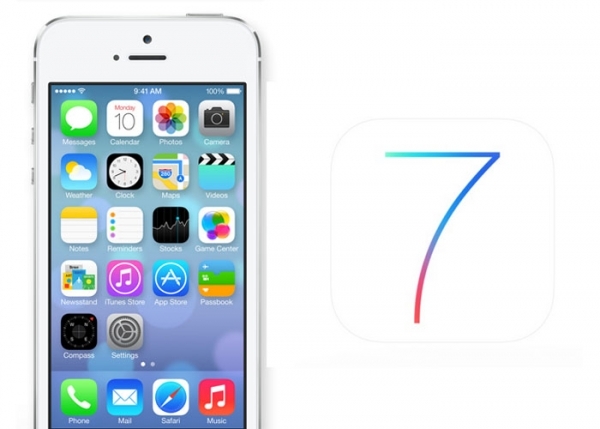 If after getting a preview of the iOS 8, you are not happy with the beta experience, you can always go back to iOS 7.